There is a good news for the protection of Eurasian lynx in Austria. Ludek, the lynx, who was being monitored in the forest near Prachatice, Souther Bohemia, has suddenly turned up nearby Linz, Austria. The Eurasian lynx population in the region of Bohemia, Bavaria and Austrian is a very important for the survival of this rare carnivore in Central Europe. However, there are number of threats negatively influencing the species in the region. 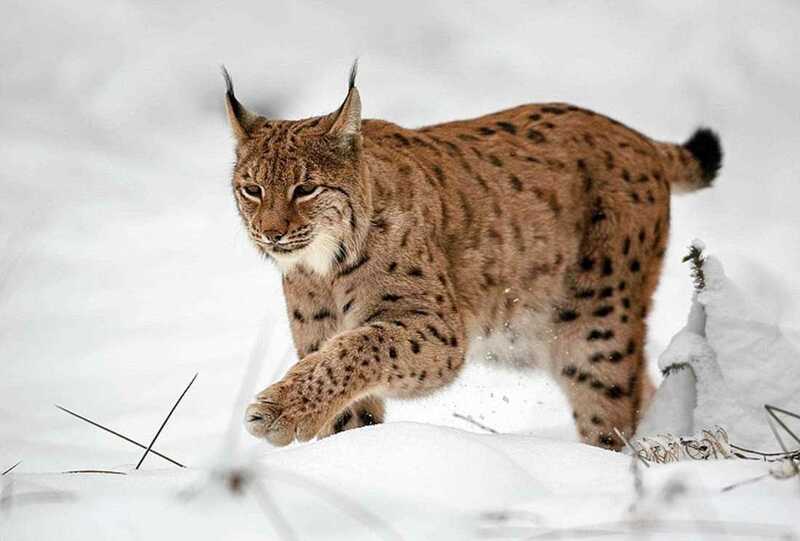 Various organisations including Alka Wildlife from Czech Republic and experts from Germany and Austria started the Trans-Lynx Project in order to secure better protection of these animals. As stated on the project website, the aim of the project is to improve the communication among the national nature conservation authorities, hunters, foresters, non-governmental organisations and scientists. They all can contribute to the protection of the Bohemian-Bavarian-Austrian population of this rare carnivore. However, it is necessary to mutually share the research data, exchange experience and together look for solutions of the problems connected with the protection of this species. Ludek is monitored within the framework of the Trans-Lynx project. He surprised environmental expert as he had to cross the Danube. According to the project experts, the young male lynx is either a good swimmer or crossed the wide river through the bridge at the Ottensheim power station. None of this was without risk for the animal because of the possibilities of car crash which is one of the largest threat for the species. Roadless areas would be important for the protection of the species.